Albert Yue knows the challenges of acclimating to a new country. He came to Canada with his family from Hong Kong in the early 1990s. At this time, his homeland was on the cusp of change. Armed with over 15 years of marketing experience, including working as vice-president at a leading marketing agency, Yue thought it would be easy to transfer his knowledge and skills to a similar workplace in Canada. He was mistaken. “My experience in Asia was not deemed applicable to the French and English marketing needs of businesses in Canada,” he says. Rather than discouraging him, rejection spurred Yue toward entrepreneurship. “I realized the Chinese community in Canada was continuing to grow and that mainstream agencies had neither the cultural nor marketing background to reach this consumer group,” Yue says. “I decided to turn what was perceived as a weakness into a strength and launched Dyversity Communications, the first cultural marketing agency in Canada.” As Canada’s South Asian population began to increase, Dyversity subsequently expanded into this additional demographic group. Today, 23 years later, Dyversity has grown from a three-person shop into an integrated agency of 40 who work with some of the country’s best-known brands. “Our blue-chip clients understand the benefits that our unique insights and full range of services have to offer,” Yue says. When Dyversity Communications became a successful entrepreneurial enterprise, Yue began to envision a second project. Three years ago, he launched WelcomePack, a program that targets a niche segment of the population: the 250,000 new immigrants who come to Canada from around the world every year. Using a direct mail approach and sample gift boxes, Yue invited — and continues to invite — marketing directors of major companies across Canada to subscribe to the WelcomePack program. Subscription opens the door for these companies to have their products and service offers included in the box. The strategy is working. Yue and his team now work with over 30 brands, including automobile and consumer product manufacturers, entertainment providers, restaurants and telecommunications companies. 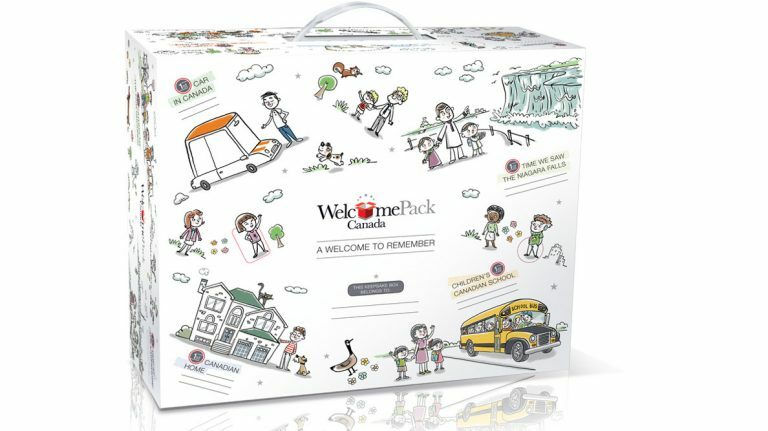 WelcomePack contains free products, coupons, special offers, activities and valuable information for new Canadians trying to adapt to their new surroundings and culture. The box is distributed through a network of 62 immigrant service centres across Ontario, such as YMCA locations. A direct marketing program, executed by WelcomePack, promotes the boxes to newcomers and reveals where they can be obtained.